from Anna Atkinson, the woman who is bring some style back to Club Duvet. What made you decide to start a sleepwear company? After finishing at Elizabeth Galloway Fashion Academy in Stellenbosch my dream was to become a designer, so I gained experience in retail, media and styling before focusing on my designer dream. While gaining experience with big retail companies and media houses, I saw how people's lives were changing, becoming faster, more demanding and leaving less time for luxury and relaxing. Anna-Louise Sleepwear creates calm in the evenings, a balance in the chaos of life that helps leave the stresses of your day behind. Anna Louise Sleepwear has a minimalist style and colour palette. What is the inspiration behind the look and feel of your collections? Anna-Louise is a farewell to the big baggy old t-shirt and a welcome to stylish and beautiful sleepwear. Anna-Louise creates sleepwear that is simple, elegant, feminine and stylish without the frills, prints and patterns. What, in your opinion, makes Anna Louise Sleepwear luxurious and special? Our fabrics are soft and comfortable, our style is simple yet elegant which is the perfect item to slip into after a long day in the office or after a relaxing bath. It’s ideal if you have an unexpected visitor or need to pop out to grab some groceries for dinner, without feeling like you dressed for bed in the early afternoon. Do you design all the sleepwear and do you manufacture in-house? Where do you draw ideas from? I personally source quality fabric's to compliment Anna-Louise's feminine designs, and produce comfortable and luxurious sleepwear that feels so good you will want to spend your whole Sunday lounging around in them. I also take time to consider the smaller details, trying to create a range that is suitable for all women. Including women with older sons, pregnant women, working women, sporty women and newly wed ladies, whilst at the same time ensuring that each range is complimentary to all body shapes and sizes. What personifies a ‘perfect night in’ for you? A relaxing evening at home, I still like to be comfortable, look stylish and feel beautiful which is what I love about my range. It helps put all those together. Snuggled up in Anna-Louise slouch pants, top and jersey wrap gown while eating popcorn and watching movies with my boyfriend and two miniature Yorkies is the perfect night in for me. What advice do you have for fellow creatives who are interested in starting a business? If I could give any advice it would be, what you put in you will get out. ‘There is no elevator to success; you have to take the stairs. Be patient, your hard work will always pay off. Anna is kindly giving away one of these beautiful sets of sleepwear! Lucky us! Please leave a comment, telling us what personifies a perfect night in for you. For an extra entry: Like the Anna-Louse Sleepwear page, click here. Or follow the brand on Twitter. You can also share the giveaway - be sure to '@' me, so I know you have shared it. This a local giveaway (South Africa). Giveaway closes - Wednesday 4 September. Congrats to Tracy Jacobs! 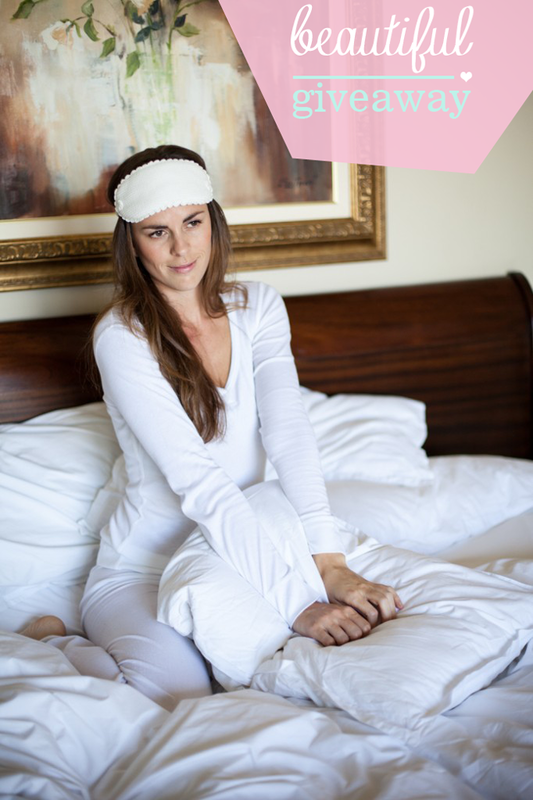 You are the winner of the amazing Anna-Louise Sleepwear giveaway! Thank you to all of you who entered, really enjoyed your comments! My perfect night is a night in with my boys, in front of the TV - watching our favourite series, back to back! With lots to eat! Family night with my two beautiful daughters, hubby and mum. Popcorn a good family dvd looking our best. Giggling to the family jokes and spending quality time together. Ah this sleepwear is absolutely gorgeous! My perfect night would be having a long uninterupted bubble bath, followed by pizza, boardgames with the family and lots of chocolate and yummy drinks! Ooooh yes please! My perfect night in consists of a great DVD series, a snuggly blanket, a fire, chocolate and my husband! My perfect night in is when my besties come over for a chick flick and a game of 30 seconds! My perfect night in is being in my Anna-Louise Sleepwear and having an interesting book to read whilst listening to music and having my kids around me. Liked and shared on Facebook and on Twitter. My perfect night is after putting my boy to sleep. Getting alone time with hubby we will get a good box office dvd, have popcorn, dark chocolate and red wine. Just by looking at this post and that crisp white PJ set - I want to jump in and grab them from the site and put them on. After the daily chores of my job, baby boy, husband (2nd kid) heehee, 2nd job of making and creating my products for Peg & Pencil, nothing drives me more than tying my hair up, washing off my make-up, putting my warmest and comfiest PJ's on and getting ideas for life, prettyness, friends and blog posts. What better way to do this than in these beautiful PJ's of Anna-Louise. Thanks for the opportunity to enter this fab giveaway. A perfect night in is me, myself and I ,with a nice hot bath and a glass of wine. Follow that up with some luxurious sleepwear, cheesy girly series and a decadent dessert, and I am in me-time heaven!